Alexandria, Virginia (CNN) Prosecutors on Wednesday sought to illustrate Paul Manafort’s expensive taste in suits, cars and real estate — paid for by wire transfers from offshore accounts — while President Donald Trump took to Twitter to sound off on the trial of his former campaign chairman and to attack special counsel Robert Mueller’s investigation. Prosecutors also raised the prospect that Manafort’s longtime deputy, Rick Gates, would not be called as a witness, potentially complicating the defense’s attempts to deflect blame from Manafort to Gates. Track the latest developments in the trials of former Trump campaign chairman Paul Manafort. Manafort’s trial is the first case Mueller’s team has taken before a jury, where they are charging Manafort with 18 counts of violating tax and banking laws. Manafort has pleaded not guilty to all charges. Prosecutors have highlighted Manafort’s purchases of real estate, cars, a $21,000 watch and a $15,000 jacket “made from an ostrich” in their effort to paint him as a lavish spender. Judge T.S. Ellis, however, has prevented prosecutors from showing photos of luxury items to the jury. Ellis has repeatedly told the lawyers to “hurry up” or “move along” during questioning, and Mueller’s team said Wednesday that they now expect to rest their case next week. It’s not clear how much time the defense team will take with its case. Trump sent yet another tweet late Wednesday morning about Manafort by asking who was treated worse, his former campaign chief or Al Capone. “Looking back on history, who was treated worse, Alfonse Capone, legendary mob boss, killer and ‘Public Enemy Number One,’ or Paul Manafort, political operative & Reagan/Dole darling, now serving solitary confinement – although convicted of nothing? Where is the Russian Collusion?” Trump tweeted. Prosecutor Uzo Asonye opened the door Wednesday to the idea that Mueller’s team might not call Gates as a witness. “He may testify in this case, he may not,” Asonye said. Asonye added that his team is always re-evaluating whether to call a witness, depending on how the case is going and timing. Ellis tried to hurry prosecutors along all day as they walked the jury through documents found in Manafort’s home with FBI agent Matthew Mikuska. “If you’re to call Mr. Gates, this is a waste of time,” Ellis said, referring to Mikuska’s testimony about a memo titled “Gates agenda” that appeared to be a strategy memo from 2013. Ellis also made his own connection to the larger Russian investigation with an interesting comparison of “oligarchs” to prominent US political donors. Before the jury entered the room on Wednesday, Ellis urged both sides to avoid using the term “oligarch” when describing Manafort’s powerful patrons in Ukraine. Ellis told Mueller’s team not to give jurors the implication that oligarchs were criminals. 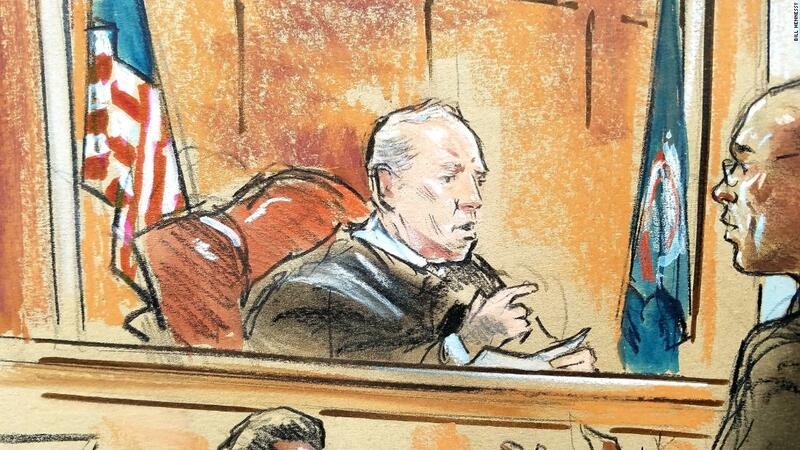 In making his point, Ellis, who is known as a sometimes colorful judge, even invoked two prominent US political donors. “Mr. Soros would then be an oligarch … so would Mr. Koch … but we wouldn’t use that term,” Ellis said, referring to Democratic megadonor George Soros and one of the billionaire Koch brothers, whose influential network supports Republican candidates. As prosecutors laid out their case Wednesday, Ellis prevented the jury from seeing photos of the luxury clothing, watch and other items Manafort allegedly bought with hidden Ukrainian consulting money. “Mr. Manafort is not on trial for having a lavish lifestyle,” Ellis said with the jury out of the room. Ellis has previously expressed his distaste for the special counsel’s approach to the case. The photos of clothing with “Alan Couture” and “House of Bijan” labels are part of the prosecutors’ trove of evidence. Instead of showing pictures of the “closets full” of high-end clothing that Mikuska described on the stand, Ellis, Asonye and Mikuska have only talked about the items. Manhattan clothier Maximillian Katzman told the jury that Manafort was the only client of high-end men’s boutique Alan Couture to pay with international wire transfers. “You will be receiving an email for the amount due from Leviathan,” which is a foreign shell company of Manafort’s, Manafort wrote to the clothing boutique in one email. Katzman described several invoices for Manafort from his father’s store, Alan Couture, where he was a manager. Manafort had bought four suits and two pairs of trousers for $15,195, according to one invoice, for instance, Katzman said. Manafort spent on average $100,000 with the store every year from 2010 to 2012. In 2013, he spent $443,160 at the store, Katzman said. After he said Manafort was an important client, Ellis asked Katzman if all of Alan Couture’s clients were important. “I don’t want to answer that,” Katzman said, to much laughter in the courtroom. Daniel Opsut, a financial officer at a Mercedes-Benz dealership in Virginia, testified that Manafort’s family bought and leased expensive cars from the luxury dealership and paid from Manafort’s offshore accounts in Cyprus. Paying from offshore accounts is “not common, but it’s not unheard-of,” Opsut said. 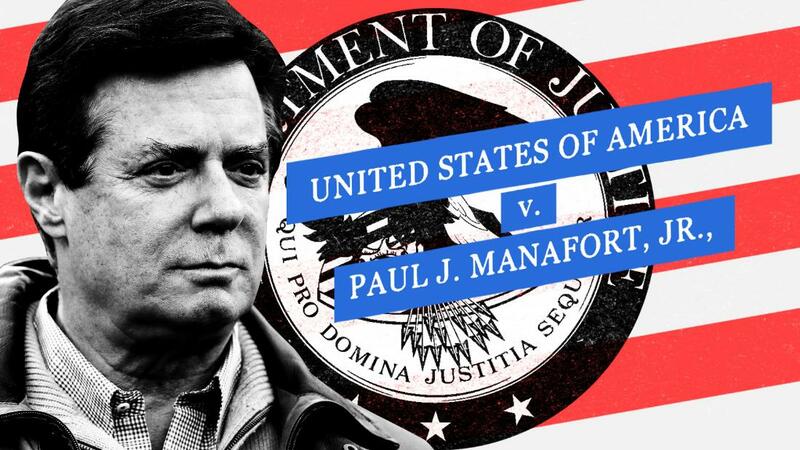 Steve Jacobson, a longtime construction contractor who worked on personal projects for the Manaforts in the Hamptons and New York, told the jury that Manafort had paid his company mostly through international wire transfers for millions of dollars’ worth of home renovations. One incoming wire transfer in 2010 paid for home improvements worth $124,000 and came from a shell company Manafort allegedly used called Global Highway Limited. “This matches up with the invoice I sent to him,” Jacobson testified. Mikuska, the FBI agent who raided Manafort’s home last year, testified that he and other agents had gathered outside Manafort’s door shortly after 6 a.m., then knocked on three separate occasions and announced that the FBI was there to execute a search warrant. When nobody answered the door, the agents used a key they already had and entered the condo, Mikuska said. When they walked in, they saw Manafort standing nearby. The agent testified he did not know how the FBI agents had the key. Some news reports following the July 2017 search suggested that it was a “no-knock raid,” but Mikuska disputed that notion. Mikuska told the jury that Manafort’s name was on several documents found showing millions of dollars in loan agreements and wire transfer invoices. His testimony was the first moment in the trial where prosecutors have gotten to the meat of their argument — that Manafort knowingly signed several kinds of false financial documents. One document seized during the search was a loan agreement with Banc of California with Manafort listed as the applicant. This bank is among the financial institutions victimized by Manafort’s alleged bank fraud. Another document appears to show a wire transfer with Manafort’s name on it with a $3 million balance. That document said “wire into our account,” Mikuska said. 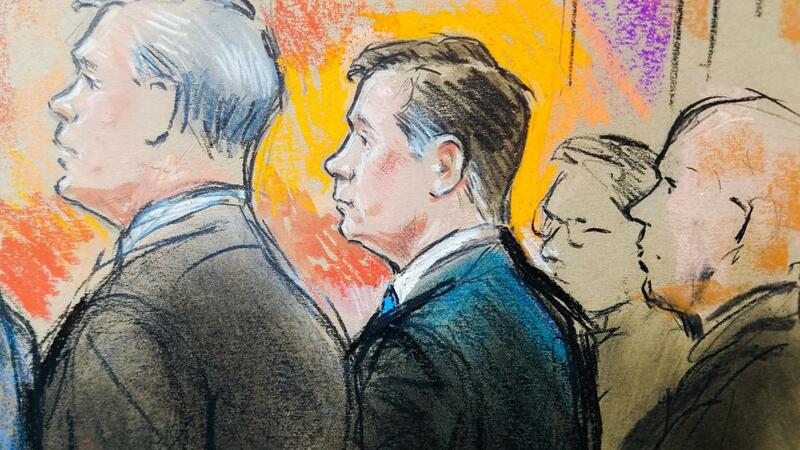 Political TV ad consultant Daniel Rabin took the stand as the prosecution’s first witness of the day. He spoke about his work in Ukraine with Manafort for former Ukrainian President Viktor Yanukovych and his political party, the Party of Regions. Rabin previously worked alongside Manafort and Tad Devine, who testified Tuesday about Manafort’s work in Ukraine. Prosecutor Greg Andres said the witnesses are meant to establish for the jury the extent of the work Manafort did in Ukraine, up until Yanukovych’s ouster in 2014. Yanukovych has since fled to Russia. Defense attorney Richard Westling asked Rabin whom he sent invoices to at Manafort’s company for his Ukrainian TV ad work. Rabin said they first went to an assistant at the company, then to Gates. “Sounds like he handled a lot of logistics and business issues,” Westling said. Obesidad: Se trata de una enfermedad relacionada con la acumulación de grasa por la ingesta de una cantidad de calorías mucho mayor a la que el organismo puede gastar. Comprar viagra online ..
Puede ayudar a prevenir muchas de las causas de la disfunción eréctil adoptando comportamientos de estilo de vida saludables, como ser físicamente activo, dejar de fumar y seguir un plan de alimentación saludable. https://comprarviagragenerico.com/ – comprar viagra..
Cabe aclarar que en cuanto se detectan los síntomas de la impotencia es imprescindible que se consulte con un profesional para poder realizar las acciones correctas, cuanto más tiempo esperes se volverá aún más grave, porque entra en juego la psicología, estableciendo un círculo vicioso; es decir que la impotencia masculina te traerá depresión y ansiedad; y a su vez, éstos traerán más impotencia.